Adrian Clarke looks at tactical battles set to take place in Matchweek 9. Leicester City have become more of a possession-based side under Claude Puel, but it is a misconception that this change in style is bad for Jamie Vardy. Although there is greater variety to their play, Leicester still spring effective counter-attacks and capitalise on transitions to release their dependable striker into the penalty area. Statistically, despite a stop-start season, Vardy has had plenty of opportunities to score in 2018/19. Registering a shot every 26.9 minutes, the 31-year-old is averaging more efforts than during the club’s 2015/16 title-winning campaign. When you consider that Monday's opponents Arsenal have looked vulnerable at the back, conceding 5.5 shots on target a match this season, Vardy will fancy his chances of adding to his three goals this term when he visits Emirates Stadium. Arsenal have improved under Unai Emery but a longstanding weakness in defending breakaways and recovering after turnovers remains. It is in those scenarios that Vardy thrives. Arsenal must therefore try not to lose possession in vulnerable areas, or leave gaps down the flanks for him to burst into. Vardy’s top speed of 34.2km/h is faster than all three of Arsenal's central defenders by some degree. Sokratis is Arsenal’s quickest centre-back, having reached 33.5km/h, but may not feature because of an ankle injury. 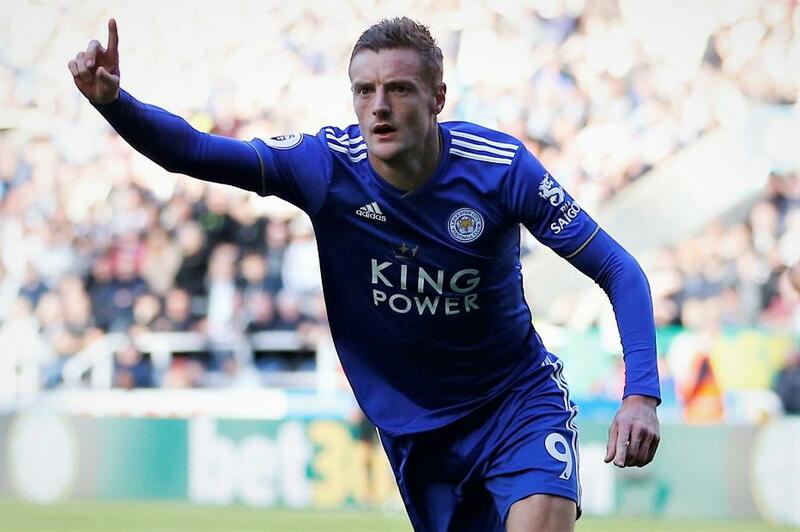 This means if Leicester’s form players James Maddison or Ben Chilwell, who have distributed 15 and 10 key passes respectively, can slide passes in behind for Vardy to chase, Arsenal may find themselves in trouble. Vardy also has a habit of scoring against the Gunners. With six goals from as many starts, albeit two from penalties, the Foxes striker likes this fixture. Leicester's No 9 also collected an impressive brace on his last visit to Emirates Stadium in August 2017. Indeed, aside from Huddersfield Town, a team he has faced only twice, Vardy has enjoyed the most success against Arsenal in top-flight football. Emery's team are on a roll and are favourites for a seventh straight Premier League victory. However, if there is the slightest lapse in concentration Vardy will be ready to punish Arsenal again.